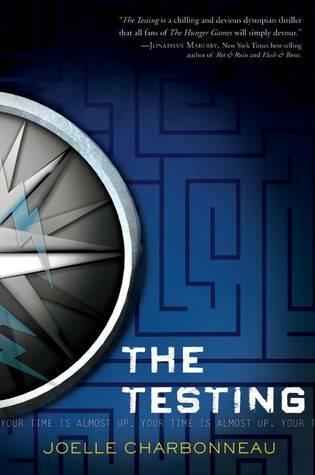 The Testing by Joelle Charbonneau (Houghton Mifflin Books for Children, June 4) In the future, after the Seven Stages War has destroyed much of the planet, children of the remaining inhabitants must pass The Testing – a series of challenges to prove whether or not they have what it takes to go on to college. (And you thought the SATs were stressful!) Please check your Hunger Games comparisons at the door: Charbonneau chisels her own shiny spot in the YA/dystopian genre with this fabulously fun series. And the other two books in the trilogy will be out in the next twelve months, so there’s no super-long wait for the conclusion! Add +5 points for being considerate. TransAtlantic by Colum McCann (Random House, June 4) McCann’s Let the Great World Spin was a devastatingly wonderful book. And if anyone can follow up a National Book Award-winning novel with another stunner, McCann can. (Heh, can-can. Tee hee.) 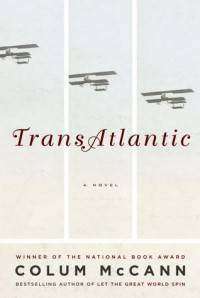 TransAtlantic is a luscious collection of stories (mostly) based around journeys across the Atlantic Ocean to Ireland. Historical figures such as Frederick Douglass, Senator George Mitchell, and Alcock and Brown, the first aviators to fly nonstop across the Atlantic, all make appearances. And this book has my new favorite last line. No, I’m not repeating it here. And, hey, NO PEEKING. 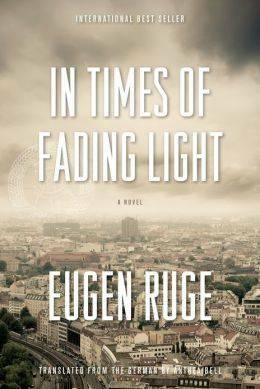 In Times of Fading Light by Eugene Ruge (Graywolf Press, June 11) The first reason I love this book is because Ruge is fifty-seven, and this is his first novel. Hooray for doing awesome things at any age! The second reason I love it is because it’s a big, gorgeous, messy novel about a family in Germany, highlighting different decades and different family members and their issues. Hooray for messy family dynamics! Ruge is an amazing writer, and In Times of Fading Light (which won the prestigious German Book Prize) is a wildly impressive debut. The third reason I love this book is Graywolf Press. Hooray for indies! Claire DeWitt and the Bohemian Highway by Sara Gran (Houghton Mifflin Harcourt, June 18) I talk about Sara Gran so much, I am surprised I haven’t been served with a restraining order. BUT SERIOUSLY. She is so awesome. And this book, the second in the fantastic Claire DeWitt series, is uh-may-zing. Claire investigates the murder of her ex-boyfriend, but there’s so much more to it than that. The book’s many complex layers are delicious. Buy it, read it, lick it, rip out the pages and stuff them in your ears: All of these things are good. Bottom line: Sara Gran rules. 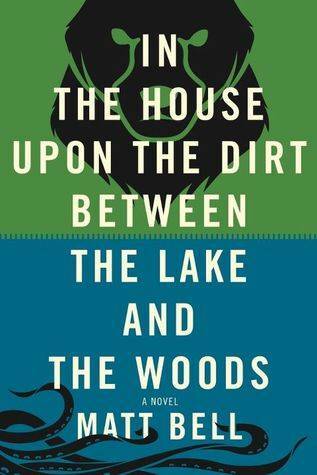 In the House upon the Dirt between the Lake and the Woods by Matt Bell (Soho Press, June 18) Oh, kittens, this book is so wonderful and weird. Put Italo Calvino, Cat Valente and the Grimm Brothers in a blender, and you get Matt Bell. In the House is about a husband and wife who live — say it with me now — in a house upon the dirt between the lake and the woods. The couple’s attempts at starting a family are unsuccessful and beginning to take a toll on their relationship. Add to the blooming mysteries and suspicions one sly unborn baby, an extra moon, and a bear, and you have an effing amazing debut novel. This is one hell of a book. Bonus mentions: Speaking of Graywolf Press, the wonderful City of Bohane by Kevin Barry is now in paperback, and early buzz about Idiopathy by Sam Byers is fabulous – and it has hipster cows on the cover!